Selecting a law firm is a big decision because—let’s face it—you’re basically going to be living inside those four walls, cozying up to the billable hour. Researching key aspects of the firm—including the assigning system, training and mentoring, partner relations, transparency, etc.—is important for ensuring the best fit. After a while, though, the statistics and marketing materials may start to blur. When that happens, I recommend digging into each firm’s personality. That may mean talking directly to as many associates from the firm as you can, attending firm events if that’s an option, or reading associate reviews of the firm. And sometimes, it may mean uncovering little details that set the firm apart. One of my favorite parts of Vault’s Annual Associate Survey is the “Fun Fact” section in which associates share interesting tidbits about their firms. Through these responses, I learn so much about a firm’s personality and culture both because of the information itself and also because the associate chose to share that particular fact. Obviously, I would never base my decision to join a firm on a random fun fact. But I think they provide an interesting glimpse at ways a firm is unique and also offer a springboard for additional questions. You can find more fun facts and other insider information on your target law firms by viewing the firms' profiles here. Simone is definitely one to know! She is very professional and business-oriented and does everything with a smile! Her demeanor is very calm and engaging and she does her best to fit you in the right position. CLS Legal Staffing. 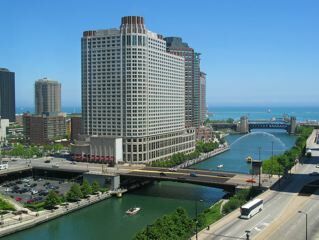 180 N. LaSalle St., Suite 3525, Chicago, IL 60601 312.251.2588.